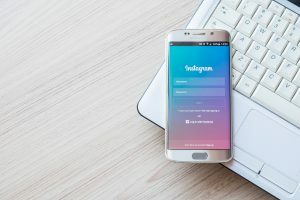 Instagram is the fastest-growing social media platform, so it is no surprise that the company recently announced that it has reached 500 million users. Because it has gotten so popular, Instagram marketing has become increasingly important for businesses. Whether your business needs a new way to spread the word about its services or to keep your customers up to date with new specials and events, here are a few ways to improve your Instagram marketing campaign. Business Profiles: On May 31, Instagram launched its business profiles, allowing companies to see how many impressions each post receives. The Insights tool within the app also provides information about your followers’ demographics and adds a contact button to your profile, allowing your customers to visit your website or call a local shop. Although this feature is not available for free in the United States at the moment, it will prove to be invaluable to businesses in the future. Videos: Before business profiles emerge prominently in the U.S., videos are a great way to see how many of your customers actually view your content. Videos are one of the richest forms of media, so they are great opportunities to create engagement, and Instagram tracks how many users view each video. Hashtags: Be sure to use the proper amount of hashtags so that users can find your posts, as this is the way that words can become searchable links. (For example, use #MarketingTips.) This handy tool allows you to organize your content and participate in discussions with possible customers who are using the same hashtags that you do. AdMix Social’s Social Media Marketing Manager, Susie Satta, recommends between eight to ten hashtags per post to optimize engagement with customers. If you can’t think of enough hashtags, check out Hashtagify to find similar hashtags to the ones you’ve already used. Crowdbabble: This app will tell you which of your hashtags are most successful by analyzing the ones that your followers respond to most frequently. Since hashtags are crucial to the success of your Instagram marketing campaign, we recommend that you use this app to show you whether your current campaign is working or if it needs to be updated. Scheduling: Make sure you know the right time to post, based on when your followers are most active. Iconosquare tells you when your followers are most active, and using a scheduling service such as Onlypult allows you to schedule your posts at the time when your connections are using the app. Instagram marketing has become paramount to businesses across the world, and you need to ensure that your brand has a voice that tells your story on social media. Although these tips can help, they are simply a quick overview. At AdMix Social, we can take your Instagram marketing campaign to the next level!